Helen Tawil has been instrumental in helping to build the firm and its systems from the beginning. Helen has worked on cases with Andrew Park since 2003. She has over 25 years work experience in the legal world, including with both leading international law firms and in-house legal departments of Fortune 500 corporations. 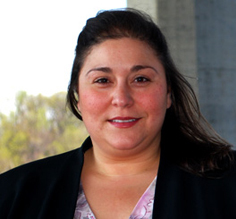 Helen, who is a member of the Richmond Paralegal Association, serves as Principal Litigation Specialist. The wealth of experience Helen has gained from working on sales practice and collections arbitrations, and other civil litigation, makes her a knowledgeable mentor and valuable resource. Helen completed a Bachelor of Science degree at Old Dominion University (2000) and an Associate’s degree in Legal Assistant Studies at Northern Virginia Community College (1997). Helen is most passionate about helping others and she brings this love to everything she does at the firm. Her greatest joy comes from working directly with clients and supporting them throughout the legal process. Achieving positive results for those clients wrongfully accused or wrongfully treated gives her a feeling of satisfaction that keeps her enthralled with her job. Utilizing her extensive knowledge in arbitration, Helen runs massive document production projects, works through complicated discovery issues, prepares witnesses, and coordinates all aspects of the prehearing phase. Having attended numerous arbitration hearings and mediations to provide real-time attorney support, Helen is available to offer assistance in this capacity any time the need arises.